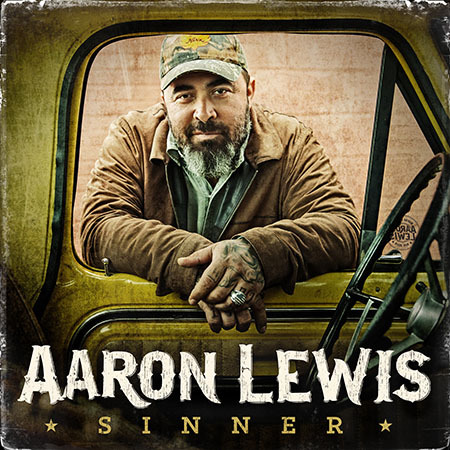 NASHVILLE, Tenn. (September 13, 2016) – AARON LEWIS aims to prove traditional Country music still has a place in the mainstream as he performs “That Ain’t Country” on Fox & Friends this Thursday (9/15) during the 8AM ET hour. The lead single is featured on SINNER, his first album for Dot Records, out Friday (9/16). The 12-track project was recorded in only 16 hours at Nashville’s Blackbird Studios with producer Buddy Cannon (George Strait, Merle Haggard, George Jones). Lewis single-handedly penned eight of the songs, in addition to covering Chris Stapleton’s “Whiskey and You” and The Dixie Chicks’ “Travelin’ Soldier.” Lewis collaborates with Willie Nelson on the album’s title track while Grammy® Award-winning artists Alison Krauss, Dan Tyminski and Vince Gill are also featured. Eager for new music, fans can preorder SINNER (smarturl.it/AaronLewisSinner) and choose special bundle packages on PledgeMusic.com. The multi-platinum singer/songwriter has been performing select cuts during his live shows and will kick off THE SINNER TOUR on October 24. The buzz around the album continues to grow as over 104k views have accumulated for a launch event in Nashville last month. Watch here: facebook.com/AaronLewisMusic. Additionally, The Boot voters selected SINNER as the September 2016 Album of the Month. For tickets, tour dates and additional information visit AaronLewisMusic.com. Country Music News Blog participates in advertising programs that help fund the operation of this site. For more information please visit our privacy statement. This entry was posted in Aaron Lewis, Press Releases by admin. Bookmark the permalink.